Linkwell Services for web development and marketing. Since 1995, Linkwell's talented team of web experts work to bring your business measurable results from your web presence. Linkwell offers a broad range of web development and marketing services to small and medium businesses. We are your outsourced web marketing department. Linkwell starts the project process by listening and questioning. What do you want to achieve? What have you tried? What are your expectations and constraints? Then we work. 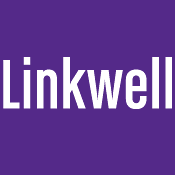 For twenty years, Linkwell Services has provided web solutions to clients throughout the Boston area. Here is a sample. From web presences to marketing collateral, Linkwell provides affordable solutions. For two decades, Linkwell has provided solid technical solutions with a business acumen that has proven to be the basis of loyal business relationships for years. How can we help you? Perhaps a phone consultation to get started for no fee. Let's talk about your challenges and a realistic approach to solutions. Call or send us an e-mail. And to get you started, feel free to download the planning tools. How can we help you? Perhaps a phone consultation to get started for no fee. Let's talk about your challenges and a realistic approach to solutions. Call or send an email. Linkwell Services, LLC designs, develops, markets and maintains action-getting web presences that help small and medium sized firms reach key customers - effectively and affordably.